The inaugural Carrock Fell Race - a 9km race from Calebreck to the summit of Carrock and back over High Pike - was run on 20th March 2016. 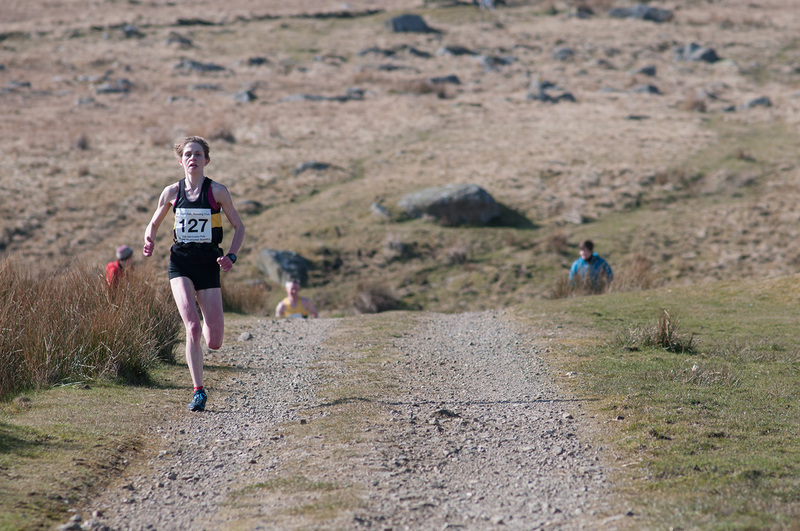 The womens' race was won by Heidi Dent, who was only six or so minutes behind Ricky Lightfoot. Here she approaches the finish.